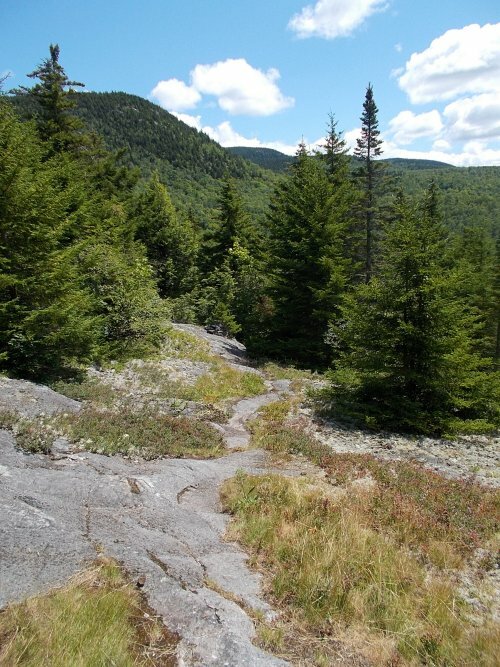 Another Long Walk: Day 137: Bears and Moose and Maine! July 22: I got a later start to the day than I'd have preferred. Breakfast at the hostel was served at 7:00 and if I wanted it (and I did! ), I had to linger until then. By the time I finished breakfast and packed up and was ready to go, it was 8:00. Not a bad start time, but not as early as I'd have liked. The bear ran perhaps 20 feet in front of this railroad track! But I wasn't quick enough to get a photo of the bear. 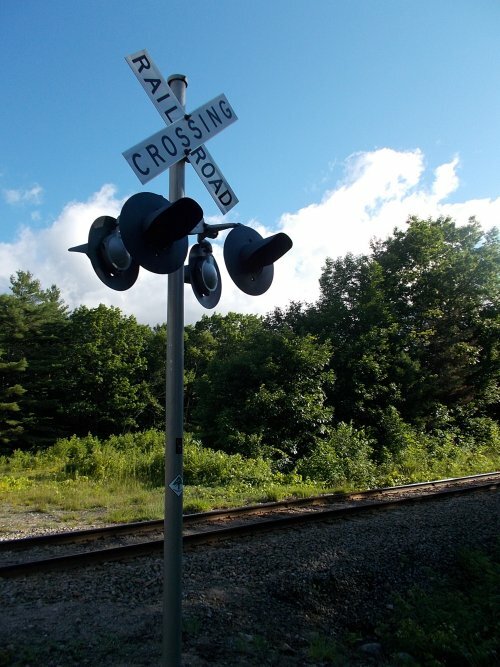 The trail follows paved roads on the outskirts of Gorham for perhaps half a mile, and within minutes of leaving the hostel, where the road crossed some railroad tracks, I saw a bear dart across the road! A bear! A bear! It ran across the road, though, and was back in the forest before I could even fumble for my camera. It probably ran not more than 50 feet ahead of me. Very exciting! Hike nearly 2,000 miles through the forest and the best bear I've seen on the trail was running across the road in civilization. 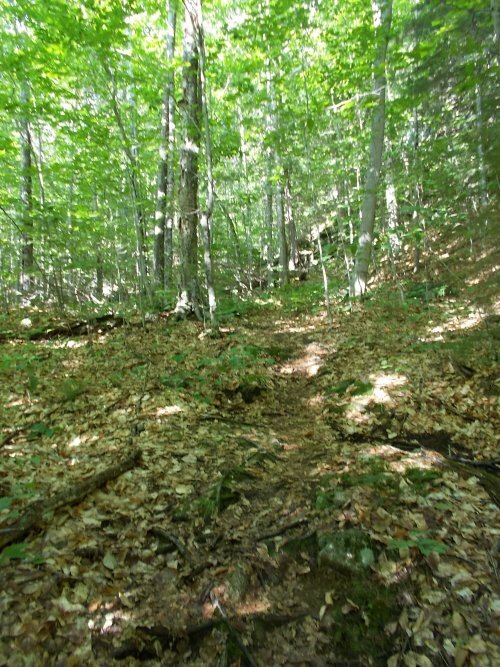 The trail soon passed a dam then headed back into the woods and into some very challenging terrain. 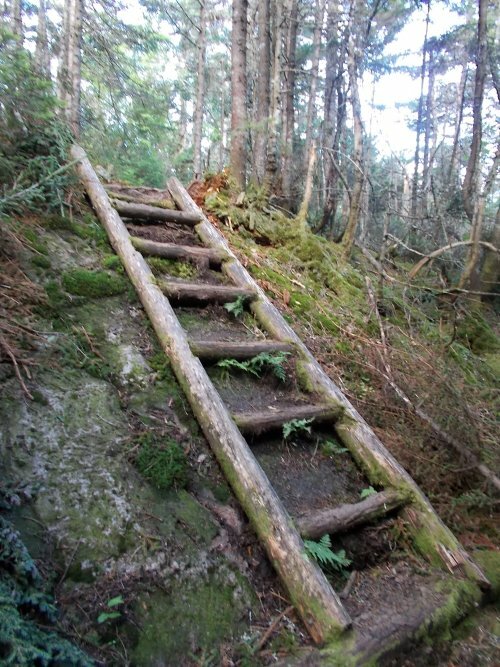 I cursed the trail's difficulty the whole day. Exhausting, mind-numbing difficult. If it's not rocks, it's mud. 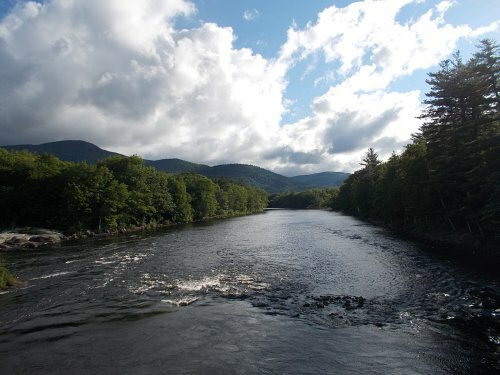 I was approaching the Maine border--expected to reach it late in the day, in fact--but I wasn't fooled that this was the end of the White Mountains. No, I definitely have very vivid memories of how difficult the southern half of Maine was. 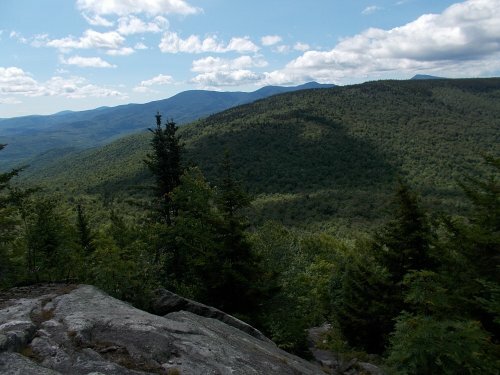 I would tell other thru-hikers that the whole rest of the trail we've already done was just to prepare us for Maine. The mud of Vermont was in preparation for Maine. The rocks of Pennsylvania were to prepare us for the rocks of Maine. 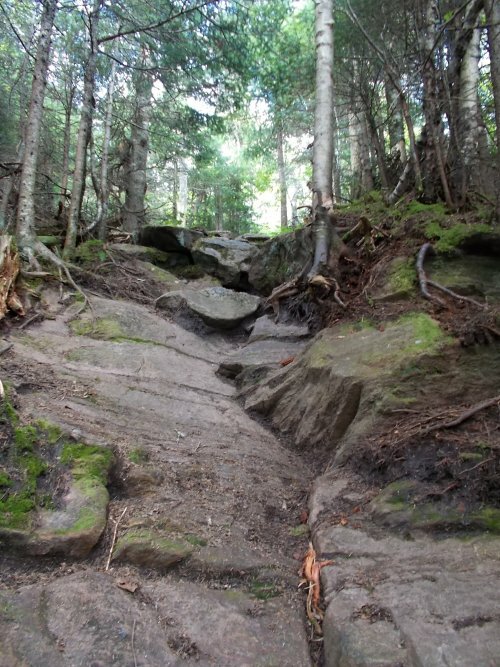 The steep, often vertical cliffs of New Hampshire were to prepare us for Maine. 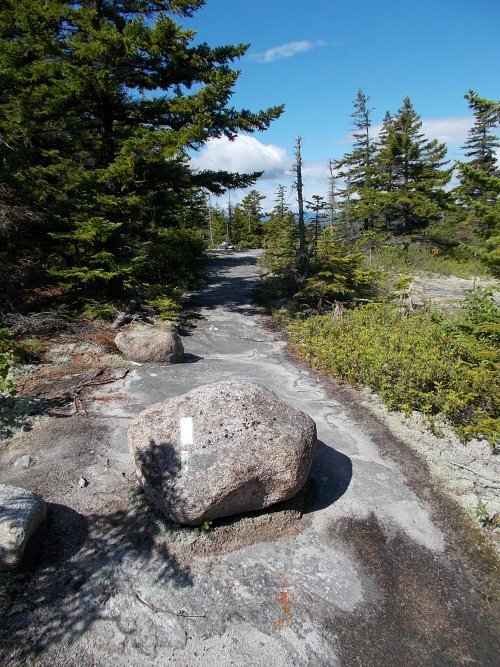 In Maine, all of the trails difficulties would be heaped together. Maine has broken many men. 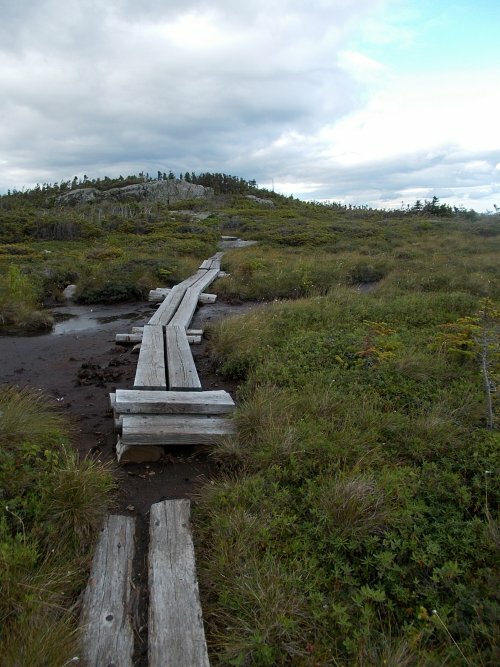 But the trail knows no borders, and some of Maine has spilled out into the northern part of New Hampshire. I might not have crossed the border yet, but feeling was there! 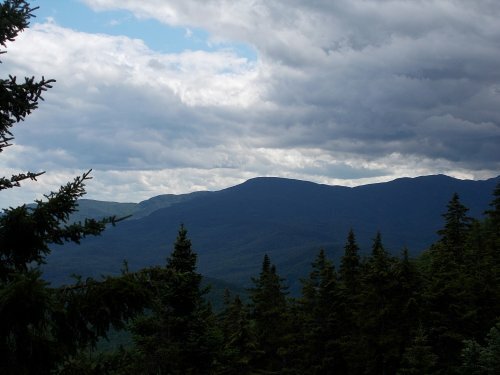 However, there were a number of absolutely wonderful and spectacular views, and Mount Washington towered high in the distance to the south. As I was leaving the shelter, I spotted a moose walking along the edge of Gentian Pond. A moose! A moose! It wasn't even running away, probably feeling safe that it was on the other side of the lake as myself. I took a few photos, then a video as it would lower its head to feed, then walk further along the shoreline and pause to eat some more. Beautiful! This was the first time I'd seen a moose that didn't just run away immediately and I could sit and admire for awhile. It was very exciting! 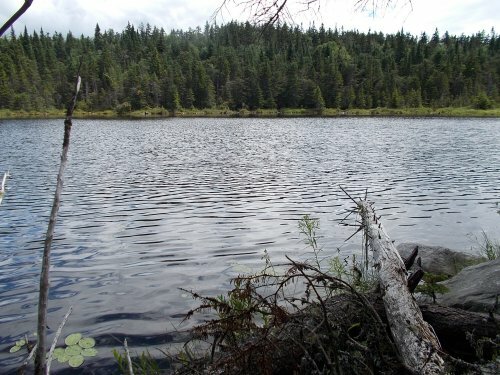 After getting my fill, I returned to the shelter and told the others that there was a moose in the lake, which was actually visible from the shelter through the trees if you stood in just the right place. They didn't have to go far at all to see the moose! I really wanted to get over the border and into Maine, though, and said goodbye and continued onward. The next shelter was a mere 5 miles away, but it was an annoyingly difficult section that took me nearly three hours to reach. 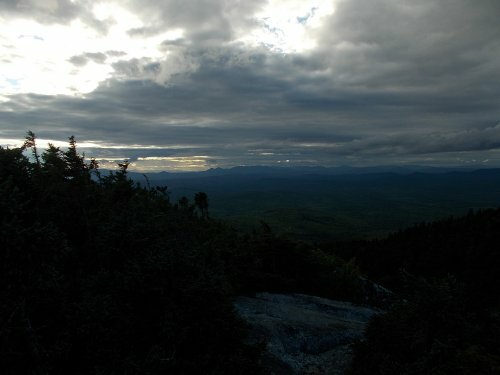 It was starting to get dark when I reached the Maine border a half-mile short of the shelter and taking photos for Walking 4 Fun was becoming progressively more difficult in the dwindling light. Had I realized it would take me this long to get here, I'm not sure I'd have left the last shelter! But darkness was descending so I pushed on, eventually arriving at the Carlo Col Shelter at 7:15. After about 11 hours of exhausting hiking, I'd covered a mere 16.9 miles. It was actually a pretty good number considering the terrain, but it was frustrating to have worked so hard for eleven hours and not even come within spitting distance of 20 miles. But it was not helping to lighten my heavy pack at all. I'd purchased food for nine days and by my third day on the trail, I'd only eaten one day of it! Dinner at the hut the first night, then dinner the next day at the hostel, then breakfast this morning at the hostel, and now dinner from the group of campers outside of the shelter. I hadn't cooked a dinner since Amanda dropped me on the trail, and I really should if I wanted to lighten my load! Hikers at the Gentian Pond Shelter, which of which had met Amanda a few days earlier! The view from that shelter was pretty darned awesome too! 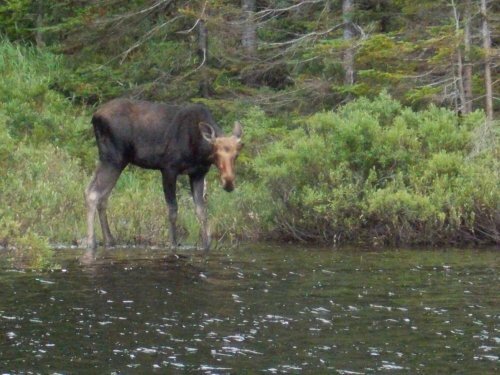 But the real highlight was the resident moose at Gentian Pond! 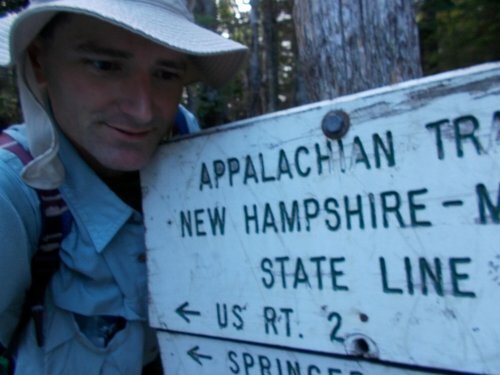 This sign marks the New Hampshire-Maine border. It's a big one: the late state line! Thirteen states behind me, and only one left to complete! I did it! 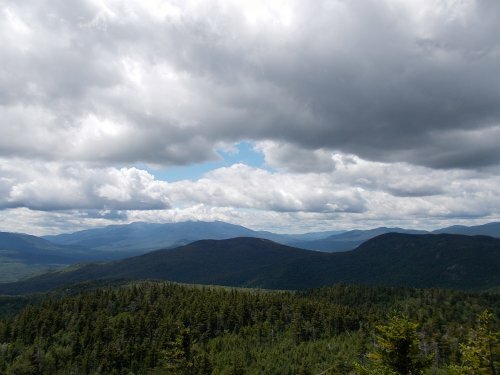 I hiked from Georgia to Maine.... TWICE! I remembered the trail being difficult along this section, but it was even more difficult than I remembered and becoming quite dark. I was really racing to get to the shelter before it got too dark for photos! The Carlos Col Shelter, home for the night! 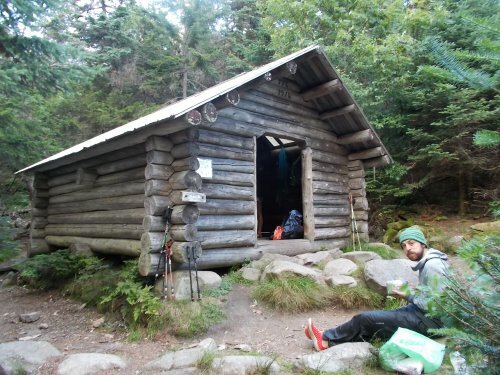 How far away is the Carlos Col Shelter from Grafton Notch?? 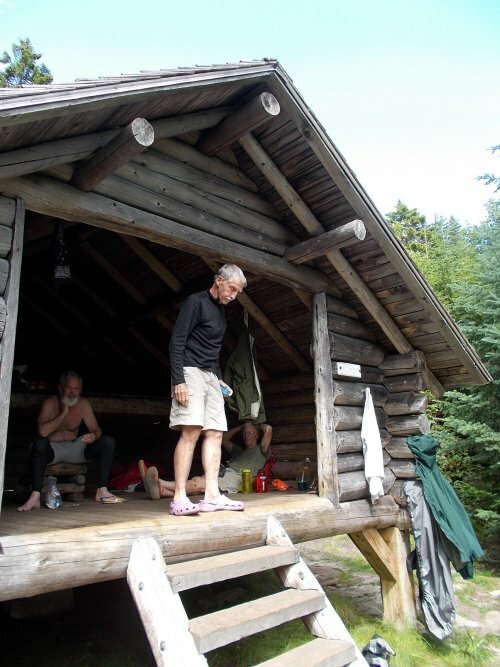 My FIL has a camp about 2 miles from the Road crossing in Grafton Notch state park. If you do it a third time, let me know. It might be more comfy than the shelters, and it would give me excuse to go up for a day or two. So, Ryan, how many miles left to reach Kathadin?? 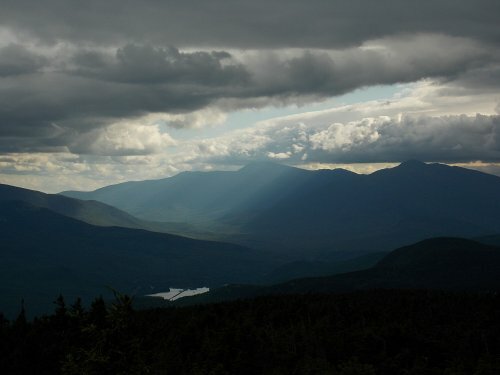 As for miles left to Katahdin.... 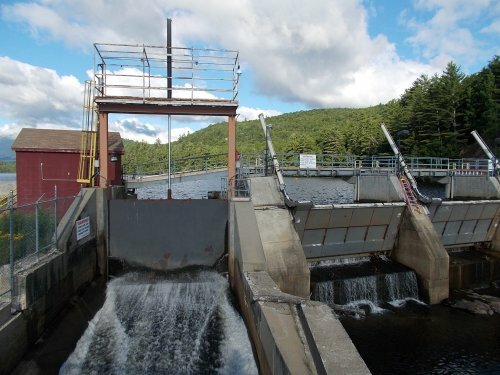 There are nearly 300 miles in Maine, or over 450 kilometers! (And it's not easy!) So there's still quite a ways to go!